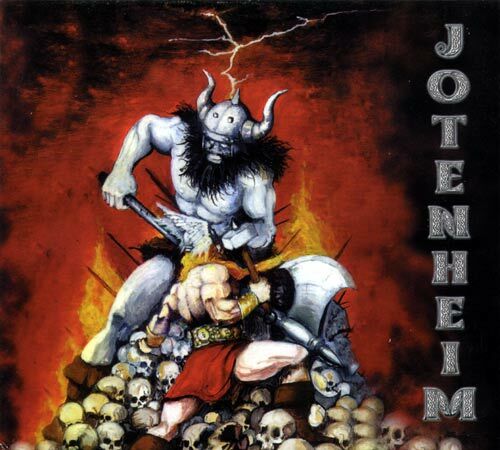 Jotenheim is an Italian epic metal band from Ascoli Piceno. Founded in 2002 by Matteo Isopi (vocals), Arnaldo Rosati (bass) and Stefano Sanguigni (guitars). After several line-up changes, the band finally founds stability with the entrance of guitarist Gianluca Silvi and drummer Peppe Bracchi. The band signs a contract with German label Metal Supremacy and releases its first, self-titled EP in 2004. The band has supported several big names in the epic metal scene, such as Manilla Road, Brocas Helm and Centurion. The band is currently working on new material for an upcoming full-lenght album.